Your ultimate self-guided and self-driving tour ! Upper Austria / Oberoesterreich is a fantastic place to visit, the largest section of the Salzkammergut – mountain-lake region lies in the SW area of Upper Austria. Attractive mountain peaks and lakes invite nature lovers to enjoy Lower Austria / Oberoesterreich as do the rich cultural towns of Bad Ischl, Gmunden, Hallstatt, Wels and Linz – cultural capital of Europe 2009! Hilly lowlands in North, Alps Salzkammergut Lake region. SW area of the province. Oberoesterreich / Lower austria has over 70 lakes with several larger finger lakes –the Attersee, Mondsee, Traunsee and Hallstaetter See. Lower Austria / Oberoesterreich was the favorite summer residence of Kaiser Franz Josef I (Bad Ischl ) as well as many of the European nobility, artist and musicians who flocked to the Salzkammergut. 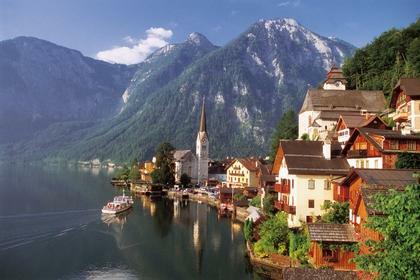 (see Hallstatt Epoch) and later in the Roman occupation of the region – Pannonia. Part of early Ostmark 995 which had included present day Upper and Lower Austria and Vienna. Mark:a defensive realm, formed by Charlemagne – first administrated by the Babenburgs, this was the beginning of the Austrian Nation. 1842 also foundation of the shipyards which made the 1st iron ships in Europe. Provincial capital of Oberoesterreich / Upper Austria, 3rd largest city in Austria – capital of ‘Land around the Enns’ since 1490. The Chemical and Voest steelworks have made Linz a major industrial city of the country. Large chemical, nitrogen, ironworks and steel works in the city. major center of iron / steel production. The Voest – Alpine Steel Group, and chemical production have made Linz a major industrial center of the country. Other industries in Lower Austria / Oberoesterreich include: heavy manufacturing, steel, machinery, chemicals, agriculture, light manufacturing, automotive and farm equipment manufacturing in Steyr, sugar beet refining, brewing, textile, tanning, lumber, paper and cellulose plants, as well as dairy and food processing. Agriculture also plays a significant role in the Oberosterreich / Lower Austria – especially in the N. The Alps and Salzkammergut attract many tourists year round to Upper Austria / Oberoesterreich. Upper Austria / Ober Oesterreich is also the 2nd most important source of oil and natural gas in Austria. Salt is mined in the Salzkammergut. Other mining includes brown coal, granite, and limestone. 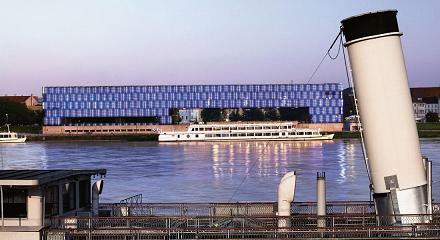 Several larger hydro-electric power plants have been built along the Danube and the tributary river Enns. 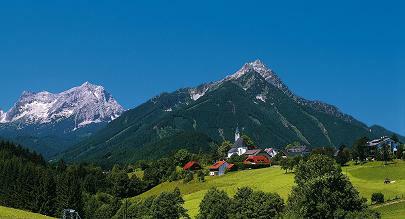 Upper Austria / Oberoesterrecih Events: The province offers numerous fairs and festivals. Available to purchase and download on-line.